Juice Master to the stars and number 1 best-selling author Jason Vale has squeezed over 100 funky 'n' fresh juice and smoothie recipes into this latest book. There's something for Gym Bunnies and a Kids Corner, as well as a Dr Juice section covering various health conditions and giving specific juices and smoothies for: high blood pressure, asthma, hay fever, psoriasis, arthritis, diabetes, digestion and many, many more. Warm up your juicer, dust off your blender and brace your taste buds for the most mouth-wateringly tantalizing fruit and veggie fusions ever created. 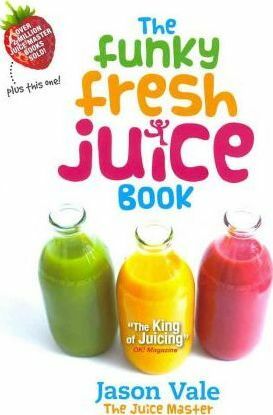 Includes a special 'Celebrity Juice' section, with juice and smoothie concoctions from Katie Price, Beverley Knight and other 'celebrity juicers'.